INDEC's statistics confirmed that poverty rose last year from just over a quarter of the population to almost a third (32 percent). Yet this angst is as much psychological as objective. A persistent sense of uncertainty, hovering on crisis, has only deepened in the first days of autumn, with the dollar climbing seven straight days until last Thursday, the day on which INDEC statistics bureau confirmed that poverty rose last year from just over a quarter of the population to almost a third (32 percent). Yet this angst is as much psychological as objective. Volatility is what a flexible exchange rate (cushioning the currency against extremes) is all about and it should surprise nobody – nor is there even all that much volatility with the dollar only a couple of pesos above its levels of six months ago despite ferocious inflation, as well as neatly positioned midway between its intervention bands (pretty much according to plan). Much the same could be said about the poverty rate from a longer perspective, since it was well above 30 percent in the second half of 2016. In short, rather than entering a freefall into the abyss, we are bouncing up and down in the same bad place all the time – which, of course, does not make these problems any less serious. Above all the poverty, if it plagues almost half the children (47 percent) who are this country’s future but only nine percent of those much nearer the end of their lives. The exchange rate and the poverty data are now even more interlinked because while the economy’s underlying scourge of inflation is stronger than ever in the first months of the year, the start of 2019 has seen its symptoms change for the worse in this context. Last year almost everybody attributed the inflation mainly to the dramatically steep increases to update utility billing frozen for a decade, an analysis shared by government and opposition alike albeit with contrasting reactions. But while these increases have continued throughout the summer, the spotlight has now fallen on food prices, especially the most basic items – a trend with the most devastating impact for the poor (who can claim no “social tariff” here). While meat prices (an item which bounces up and down more than most for reasons peculiar to that activity) are a big part of the problem here, since they have been undergoing one of their upward bumps lately, there can be no doubt that the dollar is the root cause of this adverse trend. 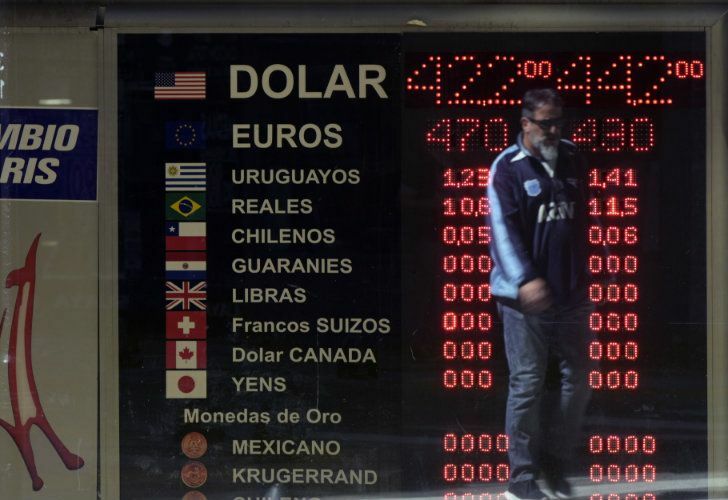 The unexpectedly high inflation in the first quarter of 2019 should not really be any surprise because prices are still catching up with the exchange rate – INDEC’s official inflation figure for 2018 was 47.6 percent as against a devaluation of 101 percent. One might then ask why prices have to be dollarised but this is inevitable for any country which seeks to form part of a globalised word – any local wholesaler has to compete with buyers in Shanghai, Rotterdam or wherever. Another change for the worse since last year is the ebbing confidence that monetary problems can be solved by purely monetary instruments. 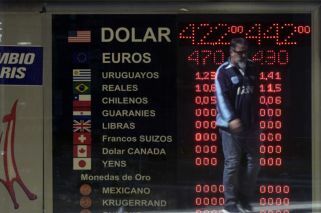 From a technical standpoint, the recent dollar surge (from 41 to almost 45 pesos in just seven days) should simply not be happening – when measuring the likely inflow of export dollars from a bumper harvest plus an 11-digit wad of greenbacks from the International Monetary Fund in the immediate future against a recently extended money supply freeze, supply should be at least equalling if not exceeding demand. But precisely because this crisis is psychological as much as objective in a year fraught with electoral uncertainties, things are not so simple. Above all, the doubts surround high interest rates as the answer to inflation and dollar volatility. Firstly, these are never a quick fix – even maintaining absurdly high interest rates through almost all of two decades, it took several years before its real currency was for real in Brazil, thus freeing its economy from the dollarisation so hampering Argentina. Secondly, how can interest rates possibly suffice alone when credit is only 18 percent of gross domestic product (as against a Latin American average of 45 percent)? Thirdly, interest rates are not really so high – figures of up to 70 percent are often quoted but these are only the Leliq bonds with credit generally averaging around 40 percent (a spread which sounds grossly unfair but Leliqs were restricted to banks to avoid a new Lebac time-bomb). Much more could be said but the main thing is for everybody to keep their heads. Yet how do you say that to the 32 percent below the poverty line?